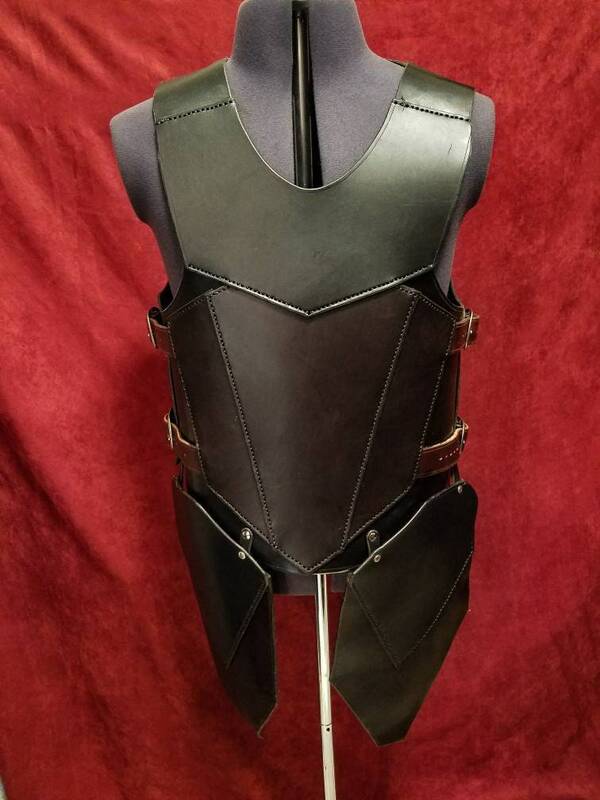 *design update: The design of the armor has been chanced, as well as the option of 1 or 2 layer thickness. 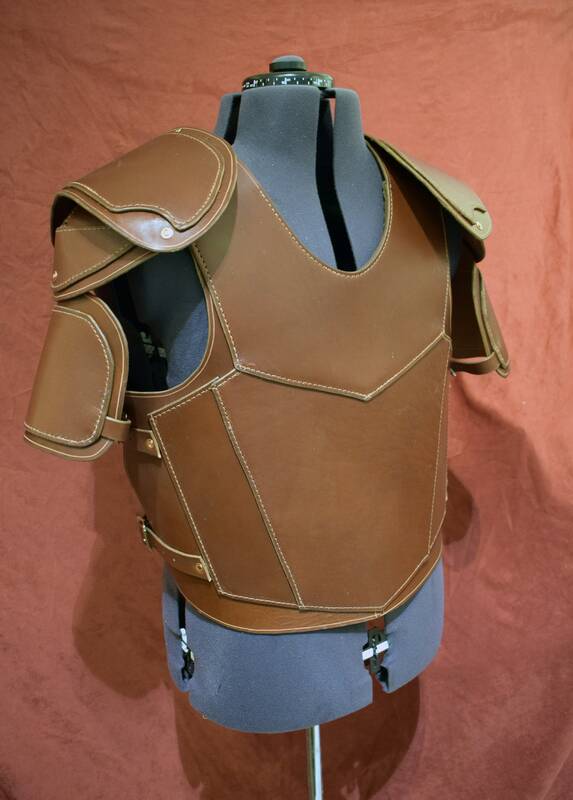 This is a handmade leather "cuirass" style Torso armor. 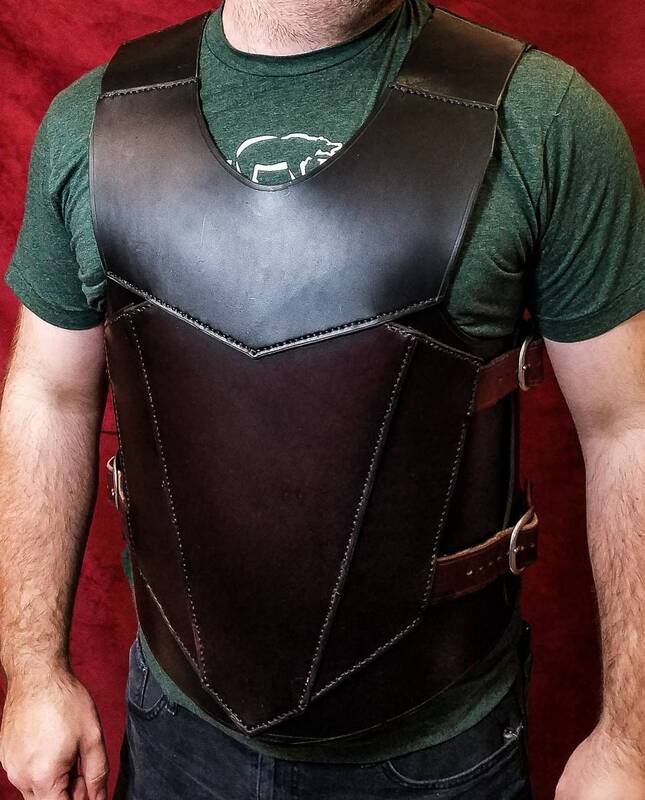 The armor is made out of 8-10 ounce latigo cowhide, and has the option of being impregnated with wax to increase the hardness significantly. 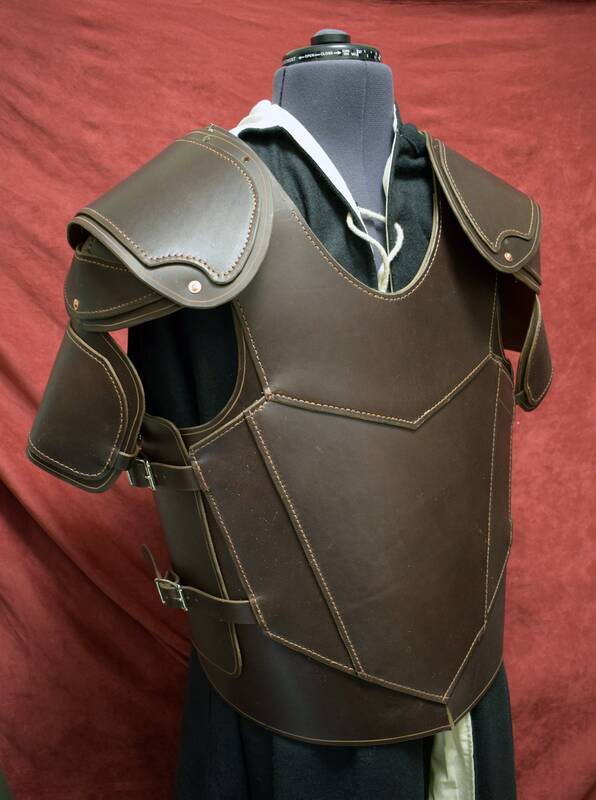 The armor is buckled on the sides, which leaves the front closed, and more protective, but leaves the armor easy to put on/remove. 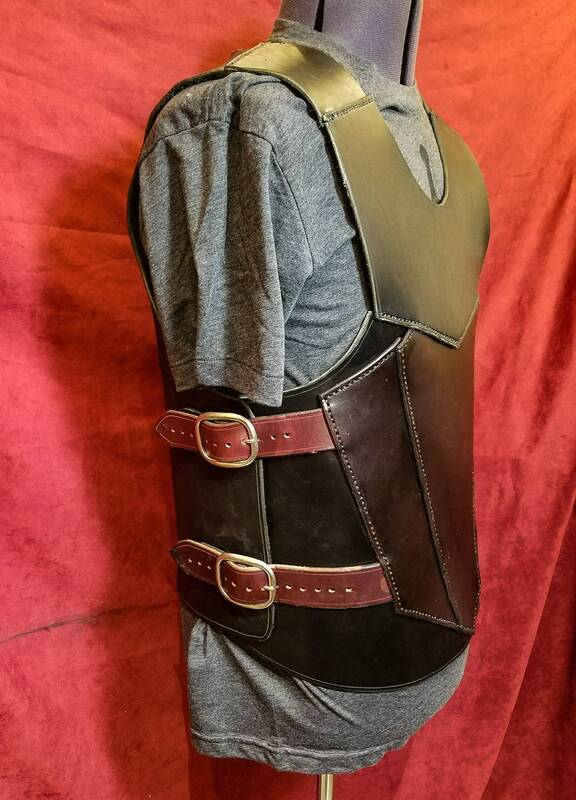 The back plate of the armor remains unhardened for comfort. 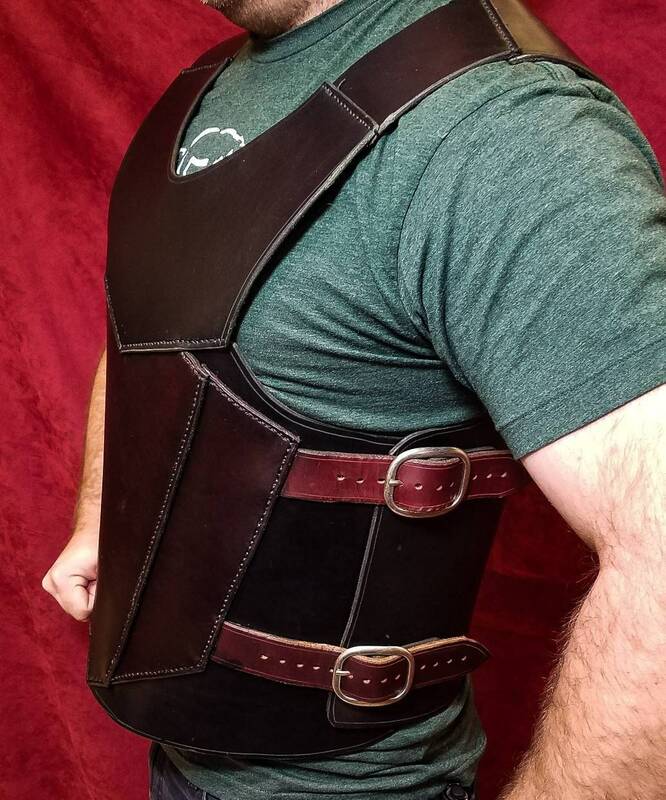 The front and back sections are stitched together at the shoulders and feature holes for which to mount one of the various styles of shoulder armor that we offer. 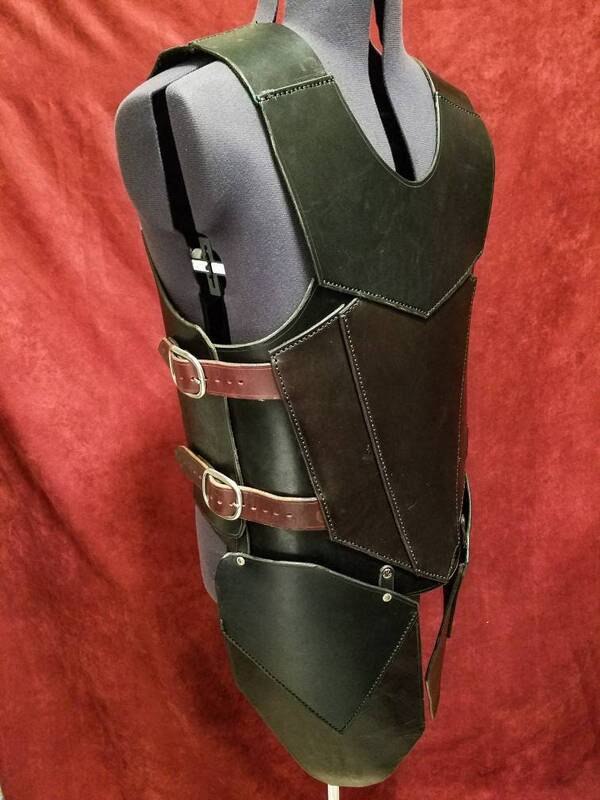 You now have the option of adding tassets, which protect the upper leg, and are removable via two Chicago screws. 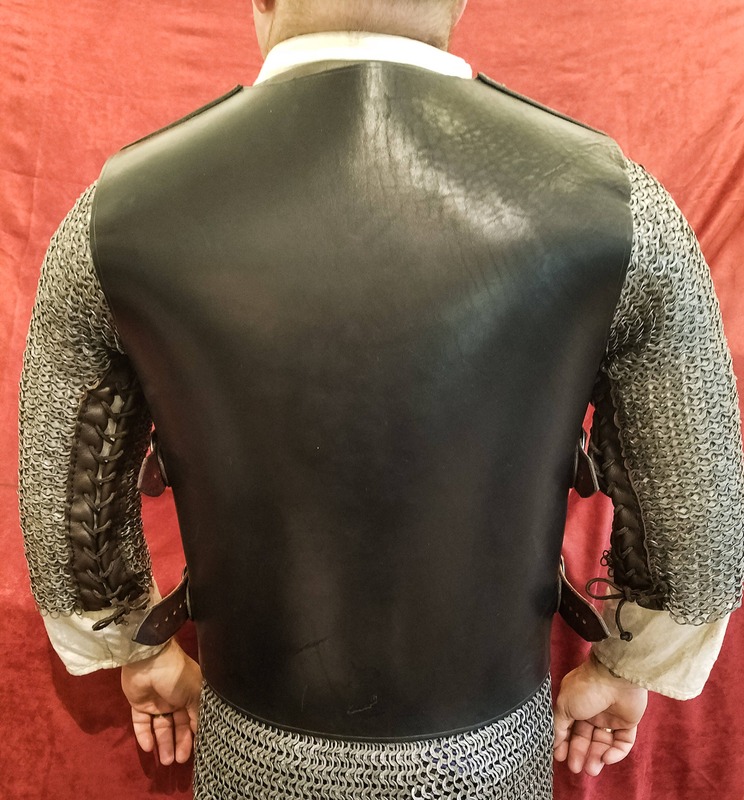 The chain mail in the photos is not included. 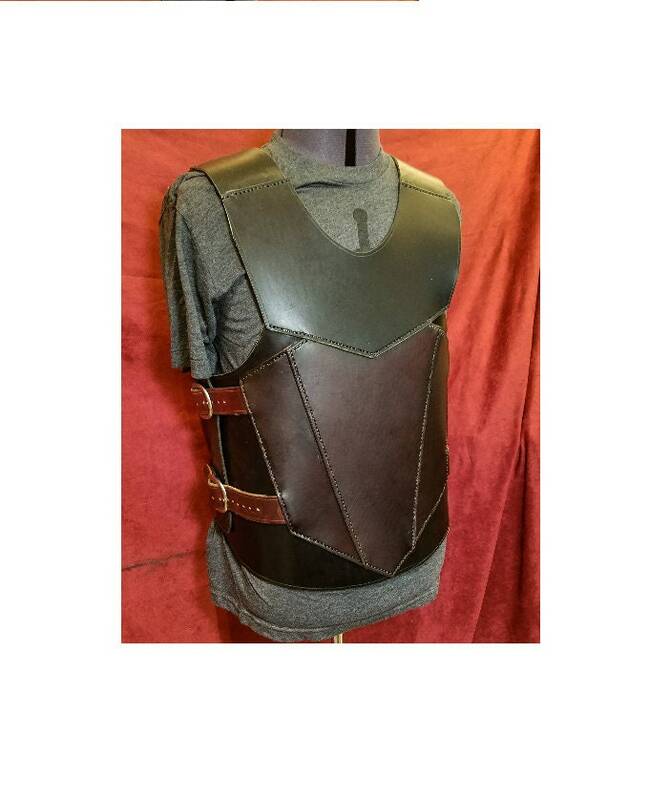 As shown in the photos, contrasting leather colors are available, feel free to message me for details. 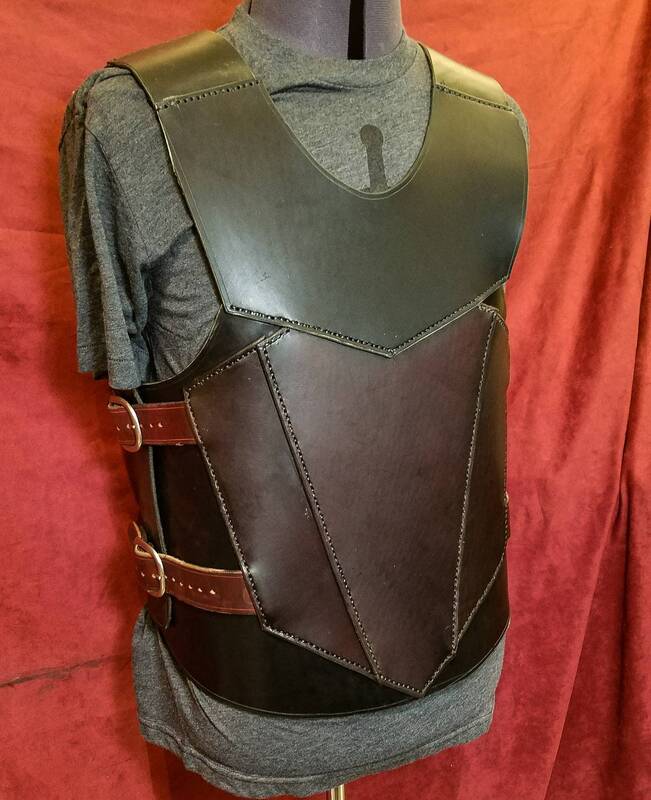 Be advised that waxing the leather will make the color darker.